Designed for an English and Scottish wedding, the end result was very pleasing. Worked in pure cross stitch with backstitch and no fractional stitches. This could be stitched on linen or Aida fabric. 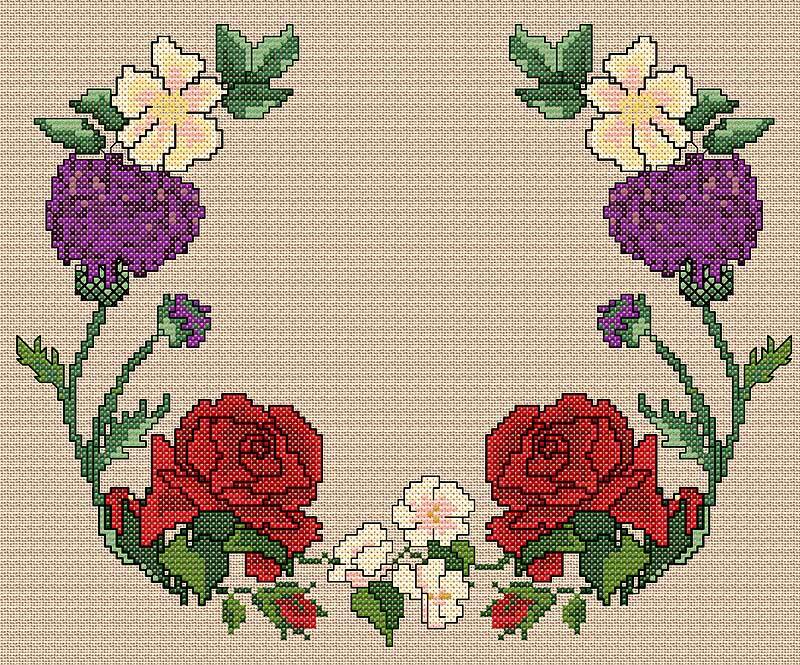 I have made some suggestions on the chart to embellish the flowers with French knots but this will be very effective in pure cross stitch. Use the darkest shade within each motif for the remaining outlines.